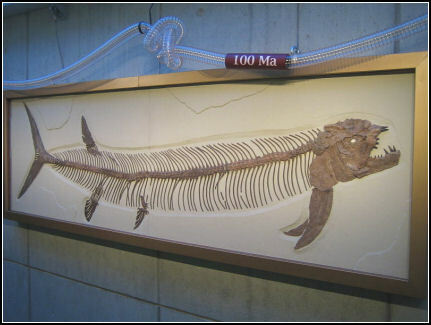 Xiphactinus was the largest bony fish of the Late Cretaceous, reaching lengths of upwards to 20 feet. 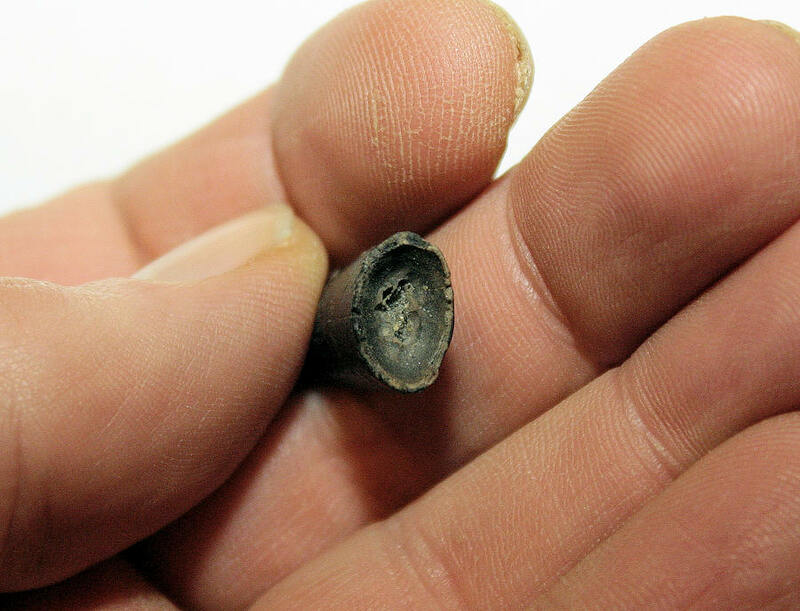 A number of fossils specimens have been found with large partially undigested fish inside. This large predator was not capable of biting pieces off its prey and instead swallowed them whole. 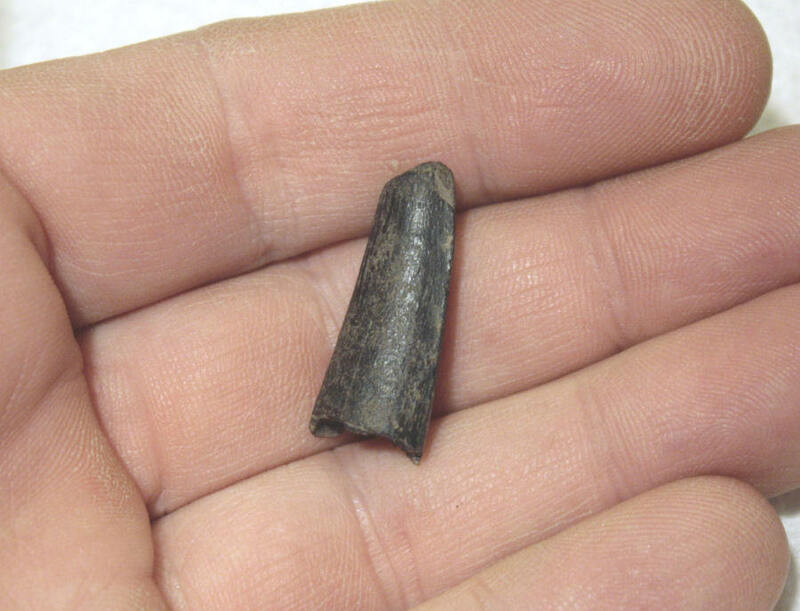 Like many of the boney fish in the New Jersey area the identifiable fossilized remains of this giant is limited to the teeth and vertebrae. 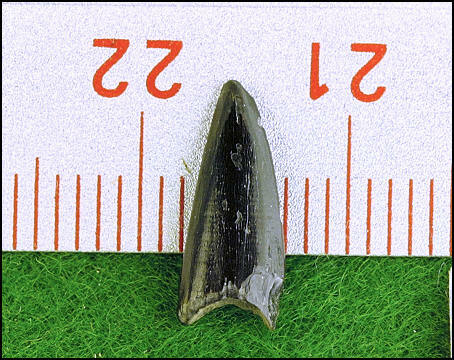 The teeth can be a bit troublesome to identify and easily confused with the teeth of more common Enchodus. Xiphactinus teeth have a double cutting edge and are fluted (flat sections). The fluting is subtle and a strong light may be needed to see it. Look for the double carina and fluting. 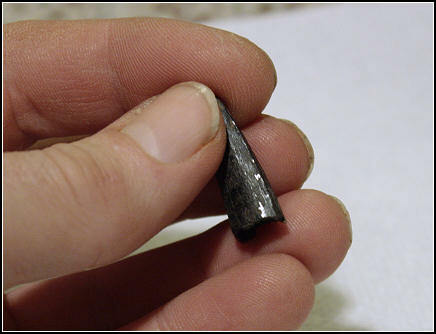 Eroded enamel seems common on these teeth. 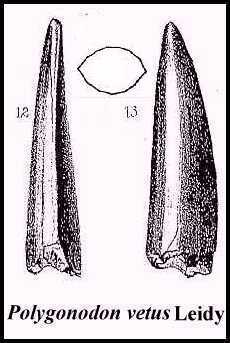 Tooth position will produce some degree of variation but the basic "grasping"
morphology of the teeth remains constant. In 1865 Leidy gave a short description of a single tooth found in the Cretaceous marl of New Jersey, thinking it was reptilian he named it Polygonodon vetus. 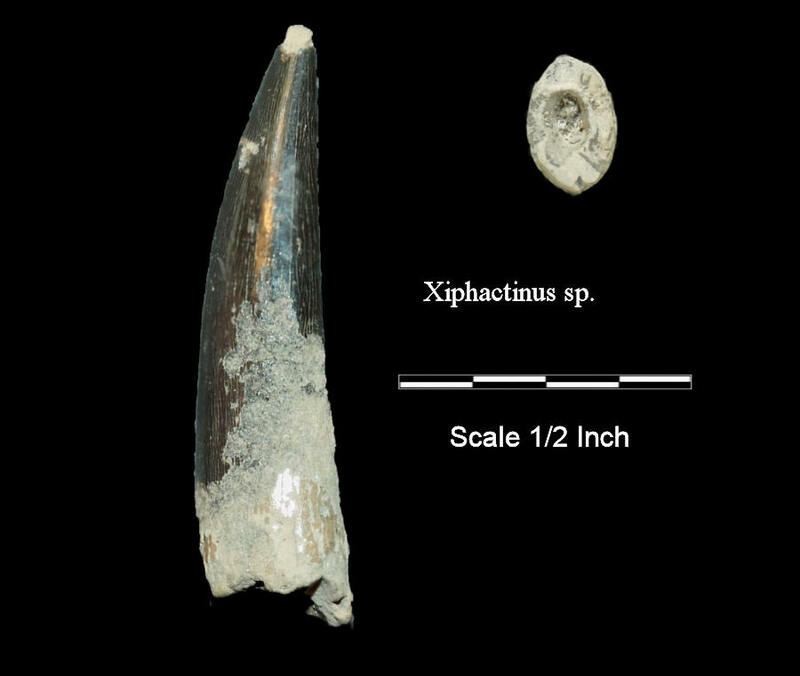 The tooth was later determined to be from a sister species of Xiphactinus audax, raising the issue of which genus name should have priority. to detect this subtle feature. where the light is reflecting off the tooth. This would have been a decent sized tooth if not broken.